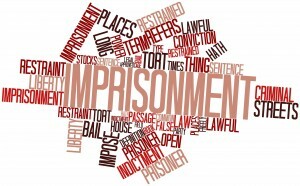 Bail is simply the temporary release of a prisoner in exchange for security given. Its sole purpose is to assure the attendance of the defendant each and every time the court requests the person´s appearance until the judge has the opportunity to make a decision on the case. There are many options for people to select from when bonds are necessary to get an accused person out of jail The amount of money for the bond required and whether it's even possible to obtain bail is dependent on your personal circumstances. The bond has a specific purpose. * Federal bail bonds: These bonds are used when a person is accused of a federal crime. * Immigration bonds: Immigration bonds affect people charged with crimes that involve foreign nationals. * Surety bail bonds: Involve a number of contracts with a bail agent that contains stipulations for release, such as drug treatment programs. Requires collateral. * Professional bail bonds: One that has posted its own monies into escrow in order to guarantee the any bond it pays. * Property bail bonds: In some jurisdictions courts allow property to be used for bail. When a crime is Federal or involves crossing state lines, Federal Bail Bonds are involved. Federal Crimes are things like: the defacement of federal property, crimes that may or have crossed state lines, crimes investigated and prosecuted by federal agencies such as the FBI and also offenses such as kidnapping, tax evasion, drug trafficking, and various types of fraud. Frequently, Federal bail bonds will be higher than state bail bonds. It is likely that the premium will be higher, as well. State and county bail bonds are the most common type of bail bonds. These are the bail bonds most people inquire about. These types of bail bonds are also know as court bonds and appearance bonds. Simply put, these are the bail bonds that 99% of all bondsmen write. The premium for state or county bail bonds is 10%, which is the standard and is nonnegotiable. A bail bond is a surety bond. It is called a surety bond because bail bond companies are licensed by the state Department of Insurance. The 10% bail bond premium is a legal form of surety insurance to the court which ensures the court that the accused will fulfill the court’s requirement to appear in court as many times as necessary until the charge(s) are resolved by the court. If the accused does not appear in court, the bail bond company is liable to the court for the full amount of the bond….not just the 10%. This is why most bail bond companies require collateral for larger bonds such as a free-and-clear title to a piece of real estate or a vehicle, boats or other items of substantial value. (Without a mortgage loan, auto loan or personal loan against it). 341 S 3rd St., Suite 100H, Columbus, Ohio 43215.